John is both the Vancouver and the National Team Leader of FMC’s P3 team. He practises in the areas of construction, engineering and infrastructure, with special emphasis on negotiating, drafting and advising on contracts. He is particularly experienced in public-private partnerships, advising owners on the structure and administration of procurement and legal issues relating to design and construction. During his practice, John has acted for municipal, healthcare authorities and the Province of British Columbia advising on the law relating to tenders, requests for proposals and complex procurements. John began his career practising in construction litigation. In addition to providing advice on engineering and construction matters, John has also advised clients on a variety of other technical projects including ship building and repair, and truck transportation including waste collection. John is a Registered Professional Engineer, and prior to entering law he worked as a Professional Engineer on infrastructure projects. His unique background as an engineer allows him to focus on practical and workable solutions for clients. From 1997-1998, John was the President of the Association of Professional Engineers and Geoscientists of British Columbia. He then served on the national Canadian Council of Professional Engineers from 2000 to 2002. John is a frequent lecturer on all matters relating to construction law, procurement and P3s. In 2012, Mr. Haythorne was recognized by the International Who's Who of Business Lawyers ("Who's Who Legal") in the area of Public Procurement. From 2006 through 2012, Mr. Hawthorn has been recognized by Chambers Global: The World's Leading Lawyers for Business as a leading lawyer in the area of Projects P3 & Infrastructure. 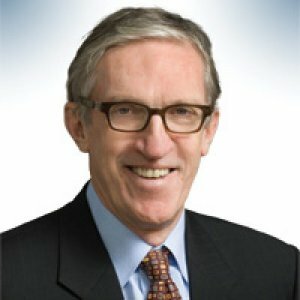 In 2011, Mr. Haythorne was recognized by Who’s Who Legal: Canada 2011 as a leading lawyer in the area of Public Procurement. 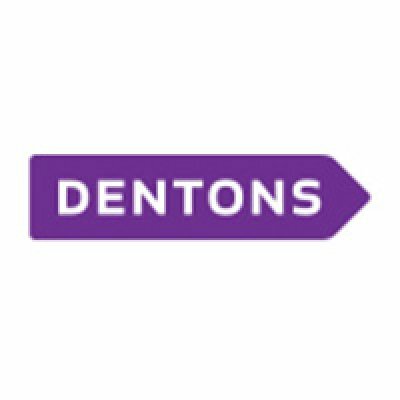 Dentons is a global firm driven to provide you with the competitive edge in an increasingly complex and interconnected marketplace. We were formed by the March 2013 combination of international law firm Salans LLP, Canadian law firm Fraser Milner Casgrain LLP (FMC) and international law firm SNR Denton. 4th Annual Institutional Investing in Infrastructure Conference Washington, D.C.
Every infrastructure project must be designed, financed, constructed, operated and maintained, but there are many different ways for the government to procure and deliver an infrastructure project. This session is designed to provide a critical overview of procurement challenges from both the government and industry perspective in major infrastructure projects in energy, nuclear power and health-care, and strategies on successfully carrying out procurement tasks in major projects on the horizon. This workshop will cover current and upcoming contract models, including Design Build Finance Operate (DBFO) contracts being utilized in Canada, as well as assessing the state of the P3 market in Canada. Those in attendance will gain an understanding of the unique legal, bonding and insurance ramifications in P3 projects, and the elements involved in strategically planning a procurement strategy for DBFO projects. Too many unfortunate residents have suffered financial stress, damages and legal hardships when their own condo unit or building falls victim to leaks. What happens when profits and quick monetary returns for construction companies or engineering firms override business ethics? Join John Haythorne as he shares his stories and experience – as both a lawyer and registered professional engineer – in promoting business ethics, while addressing the seamier side of building design and construction. Many municipalities rely heavily on infrastructure service providers to assist them to plan, develop, operate, and manage infrastructure initiatives. However, it is crucial to have firmly established criteria in place to evaluate the benefit received. What are the key criteria for evaluation based on your needs? How can you ensure clear communication with the provider to avoid unforeseen problems? Gain a comprehensive strategy to evaluate industry suppliers to enhance your decision-making. This session will present an overview of recent developments in procurement law in Canada. A particular emphasis will be placed on how the courts are traditionally “hands off” in the general commercial context but are, increasingly, “hands on” in the procurement context.